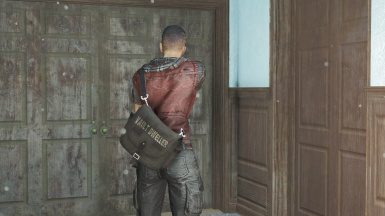 This mod adds 7 craftable and wearable shoulder bags and 1 small satchel. I want to thank jonwd7 from the NifTools forum for helping me using the alpha version of the new NifSkope, and Aldebaran90 for allowing me to use her esp as a base for mine. Added 14 craftable bags, 7 in slot  and 7 in slot . 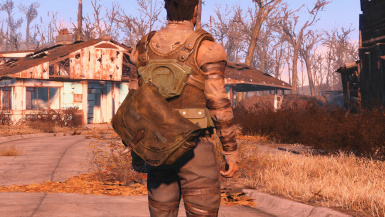 Since Aldebaran90 released her Wearable Travel Backpack mod I dreamed about adding the shoulder bag from the Postman Outfit. So, after a long day and night of work (and learning mostly), I managed to add it in game, for both male and female. 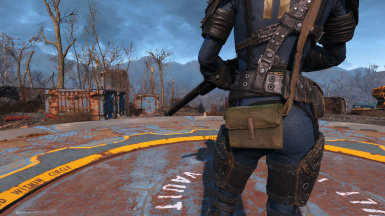 Meshes and textures are standalone, so if modders want to create a retext they are welcome to do it, it will not replace the original Postman Outfit. Version 1.6 adds a new small satchel, this one will have physics too, and as always retex will be welcome. In recent years I have downloaded mods shown by Gopher and followed his tutorials, it's nice to finally have one of my mods (v.1.5) shown on his channel. 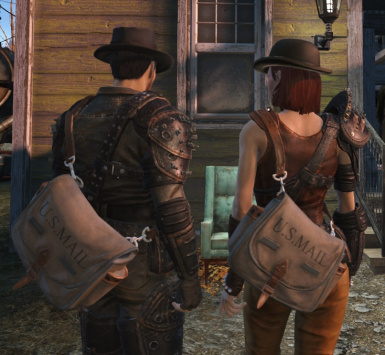 It will add 7 craftable shoulder bags and 1 small satchel (this one with physics) to the game, each bag weight is 2 and adds 30 carryweight bonus when equipped (30-2=28 carryweight bonus), except the small satchel which adds only 10 carryweight bonus. You can also give the shoulder bags or the small satchel to human followers. 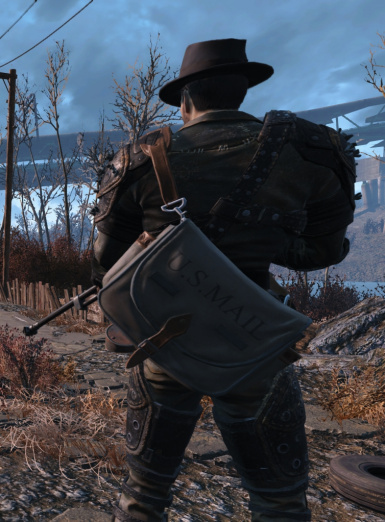 All the bags and the small satchel use Slot 61, which is used at the beginning of the game for carrying the baby, so it's the best option unless used by another mod or if it's used by other vanilla scene that I don't know of. You can craft the bags at any chemistry station. Don't ask me to change station, I will not. I tried using the armor station and I failed, but I like how it is right now so I will not change it. If you want to create a compatibility patch for another mod, feel free to do it. 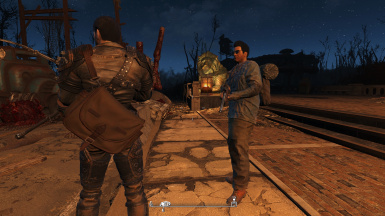 Some users also had to edit the Fallout4_Default.ini that is in your installation folder in order to make the mods work. If you have any problem just check the FAQ and the sticky posts. 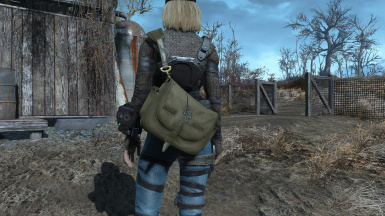 - I used Aldebaran90's esp from her mod in order to create mine and avoid compatibility problems, to know more just read her detailed description on her mod page Wearable Travel Backpack. - This mod is compatible with Aldebaran90's Wearable Travel Backpack Mod and any other mod Aldebaran90's mod is compatible with. - Before updating from version 1.5 to 1.6 you will need to load your game, unequip the bag, save the game, exit the game, uninstall the version 1.5, load the game, save again, exit, install version 1.6, load the game, craft the bag and have fun! Replace # with, for example, 30 to increase of 30 points carry weight, or -45 to decrease of 45 points of carry weight. - Aldebaran90's Wearable Travel Backpack mod of course (I suggest 50 carryweight version, the bigger backpack should carry more stuff). 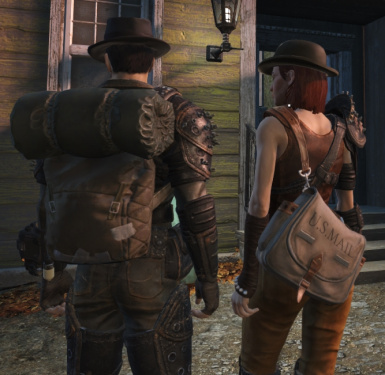 - CommanderMiranda's Wearable Postman Shoulder Bag Retextures. - steevinlove's Spider-Gwen Messenger Bag Re-Texture. 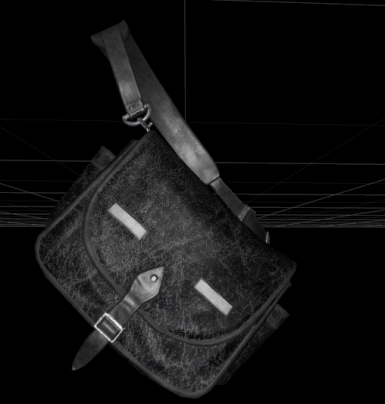 - azarkiowa's Wearable Shoulder Bag Retextures by Azar. - TotalMeltdown's Hubris Comics Shoulder Bags. Lore-friendly bags from the Hubris Comics. 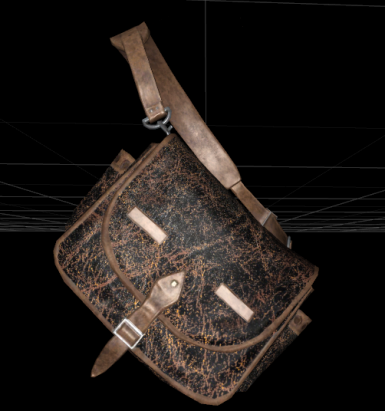 - UlithiumDragon's Wearable Small Satchel - Black Retexture. Black retex of the small satchel. 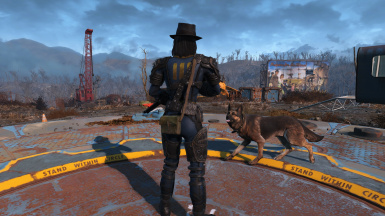 This mod was made with FO4EDIT, Material Editor and Nifskope. Thanks guys for creating this tools. - Catwoman1989 for the Brown Leather and Shadowed Leather. - KamillaDahlia for Casual Reskin. - Elianora for Dark Vault Dweller Variant. - Wogu for Green Retexture. 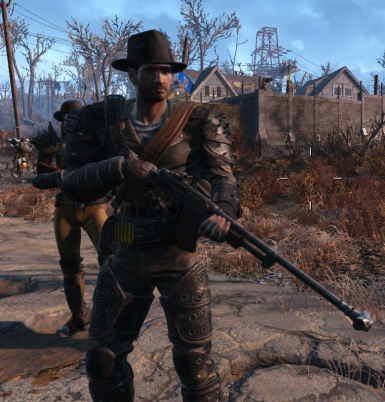 - Dragbody for Military Retexture. Retex are allowed without asking permission, but if you send me a link in PM I would like it, I may also upload it in optional files if you want. If you want to create a compatibility patch for another mod you can do it, but send me a PM with a link so I can add it in the description. 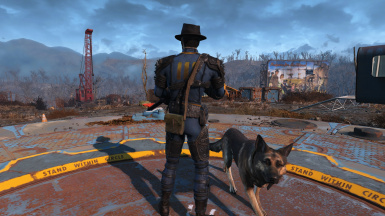 You can't upload this mod anywhere and before using the assets in this mod you must ask for permission.